Anti Bacterial Wire Add-on Units can be used to expand the Starter Unit Kits in a variety of configurations. 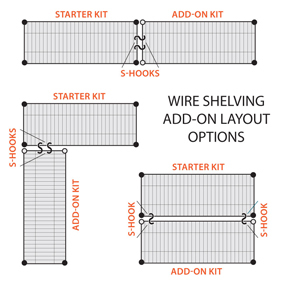 See illustration below for wire shelving add-on layout options. The Add-on units expand the starter kits by sharing a set of posts.